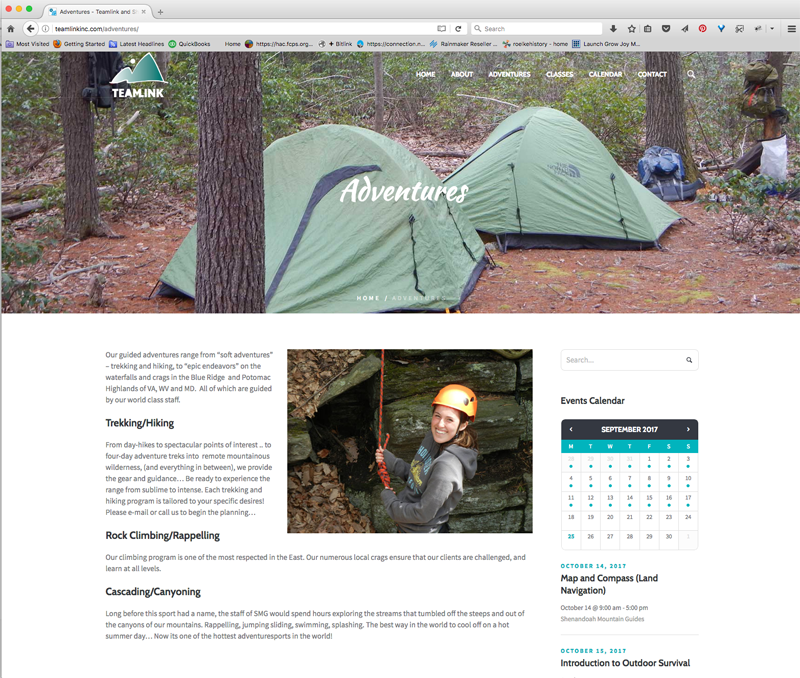 Teamlink / Shenandoah Mountain Guides were in the market for a website makeover. Their site at the time allowed people to register and pay for classes and outings, but it was extremely cumbersome and most people just ended up calling Teamlink to book their class. This became an issue because the staff spends most of their time in the field and not in the office answering phone calls. The new site allows site visitors to view a calendar to see what is available and book a spot immediately without ever leaving the site.